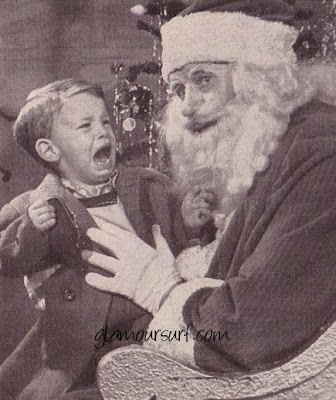 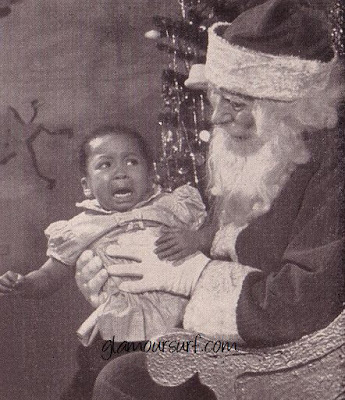 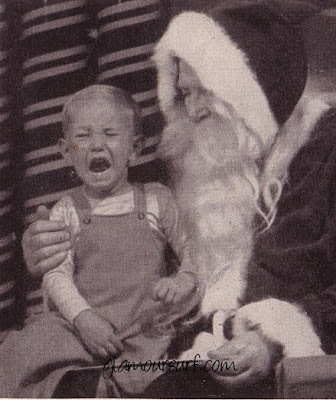 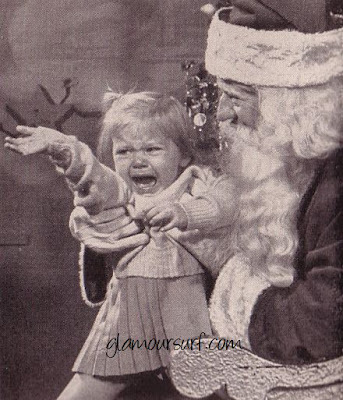 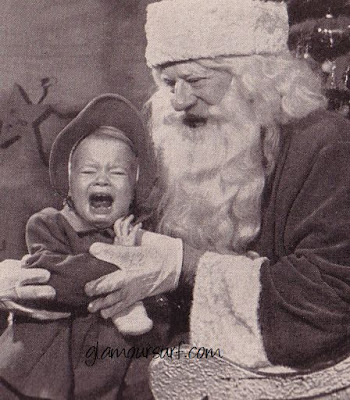 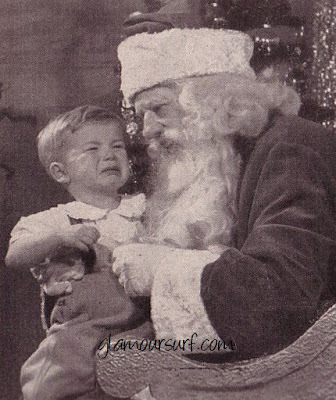 I was terrified of Santa when I was a kid too. 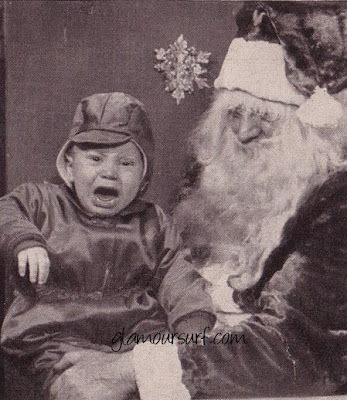 Sitting on the lap of a bearded stranger in costume is very unnatural indeed. 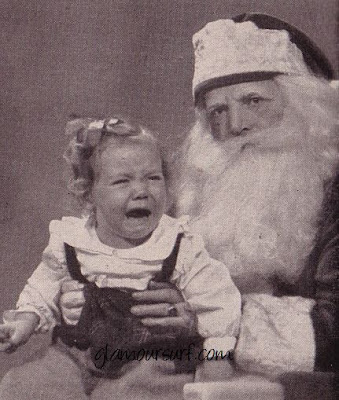 You have a good memory--- you didn't cry, but were VERY wary of Santa in the department store. 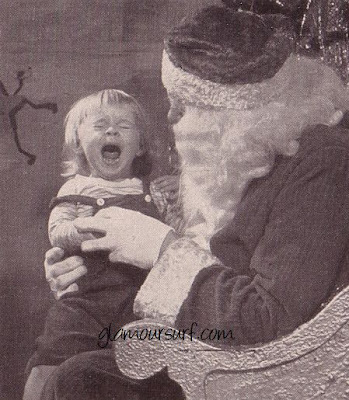 So cute, I had to laugh.